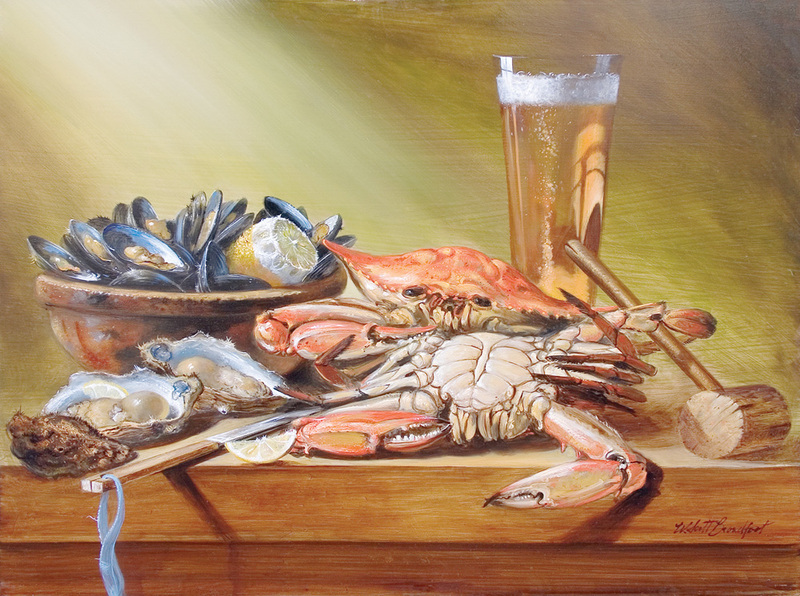 W. Scott Broadfoot’s ‘Crabs and Beer’ depicts a detailed display of one of our favorite treats, expertly expressed in his classical style. Anyone else ready for summer? W. Scott Broadfoot works on a piece. Gallery One in Ocean View this week announced that artist Scott Broadfoot has joined the gallery as a new partner. “Scott brings to Gallery One a unique perspective born of a lifetime of devotion to art, art in the classical and realist tradition that recalls the style and approach of the Old Masters,” representatives said. “He prefers to work from life by first completing drawings on-site with pen and ink of his subject. Later, in his studio, the sketches are developed into full scale paintings. His oil paintings are often developed from many different drawings of the same subject, which helps him capture the likeness and mood of what is being painted. Gallery representatives said Broadfoot’s artistic training has been classical as well, as he spent 10 years in serious instruction with painter Earl Hofmann, the “Baltimore Six Realist” founder. Broadfoot holds a bachelor’s degree in art from St. Mary’s College of Maryland and a master’s of fine arts degree from Catholic University in Washington D.C.
Broadfoot’s work is in numerous private collections. 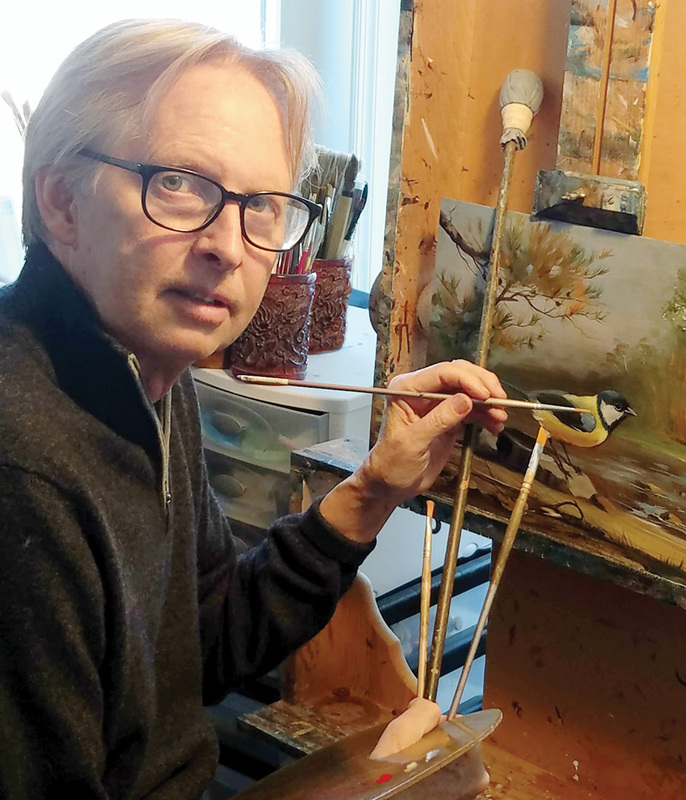 He has exhibited in many galleries in the region, primarily in Baltimore and Bethesda, Md., and locally at the Ocean City, Md., and Rehoboth art leagues. His current studio is in Fenwick Island, where, he said, his work is influenced by the beauty of the local landscape. Gallery One is open daily from 10 a.m. to 5 p.m., and is always staffed by an artist. 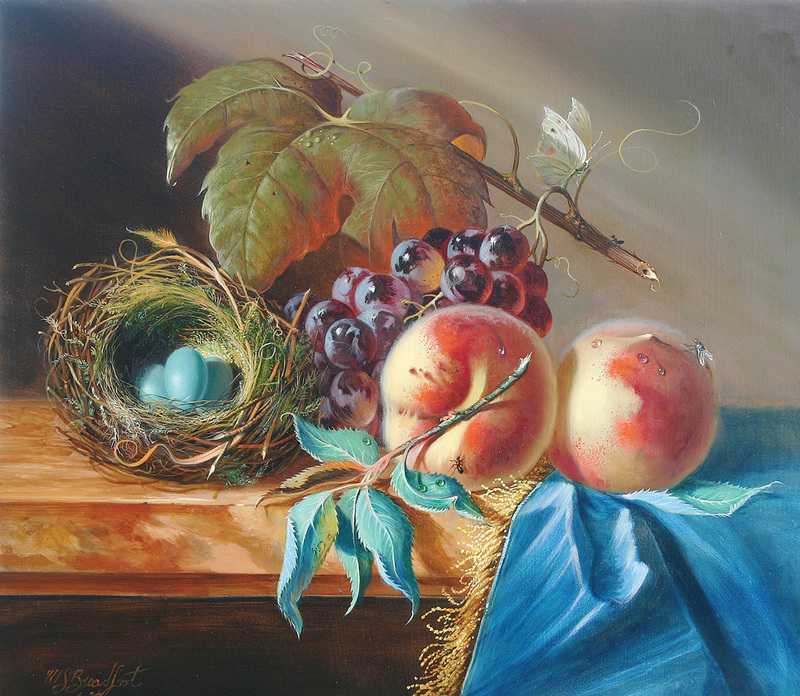 It is located at 32 Atlantic Avenue (Route 26) in Ocean View and can be reached at (302) 537-5055 or online at www.galleryonede.com.